Need balloons or decorations for a corporate awards or function? Shop opening balloons? Product launch balloons? Promotional balloons? School awards balloons? 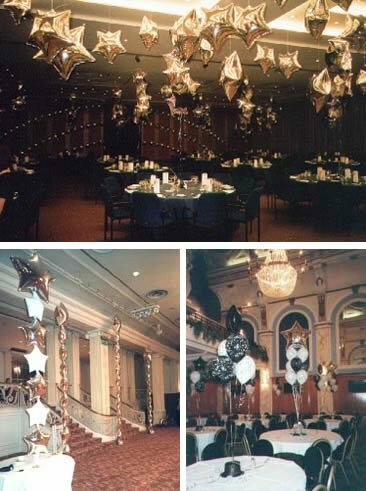 Whatever the occasion, Balloon Decor can help add the WOW factor to the event. Our experienced balloon team will capture the mood by transforming any venue using a vast range of spectacular displays. Designs can incorporate company logos, colour themes and a large range of individually designed centerpieces to create the desired effect. We have helped many local businesses highlight their event with our balloon displays. They have included Lucy Mecklenburgh for her Southend store opening, Gemma Collins for her Brentwood shop opening and Daniella Westbrook for her book launch as well as many other local businesses. We also regularly decorate the Seevic College awards evenings and events. We pride ourselves on offering a personalised service to all of our customers. If you want to discuss how we can collaborate then please do not hesitate to contact us!